Map It! Okinawa: "Nagusuku Udun - Miyagi Island"
"Nagusuku Udun - Miyagi Island"
This is the Nagusuku Udun of Miyagi Island. The term 'Udun' gives reference to a burial tomb of someone of high status such as king or lord. 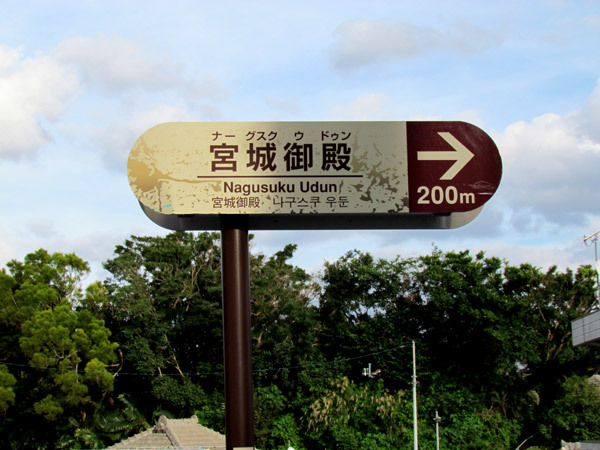 Like most Okinawa legends, the story of Nagusuku (or Naagusuku) Udun is shrouded in mystery. The explanation sign written in Japanese tells of a Kyanbaru goddess that was given a spiritual message about a large drift wood that was beached in a place called 'Dumaibama'. The villagers had heard about this message and went to go see it for themselves. The villagers had tried to pull it out....but couldn't. The Kyanbaru goddess said the log won't move unless a noro from Nakadomari takes lead in moving it. When this happened, the villagers then were able to move it and they used it to build the original Udun. 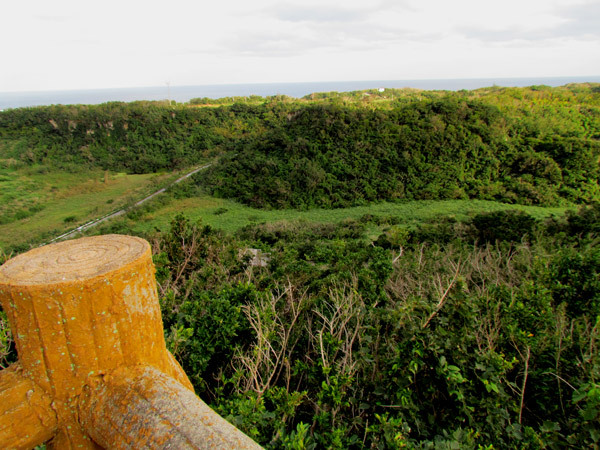 Today, the Nagusuku Udun is considered a sacred place and guardian for the people of Miyagi Island. It is also believed that an 'Aji' from the Hokuzan region is buried here. 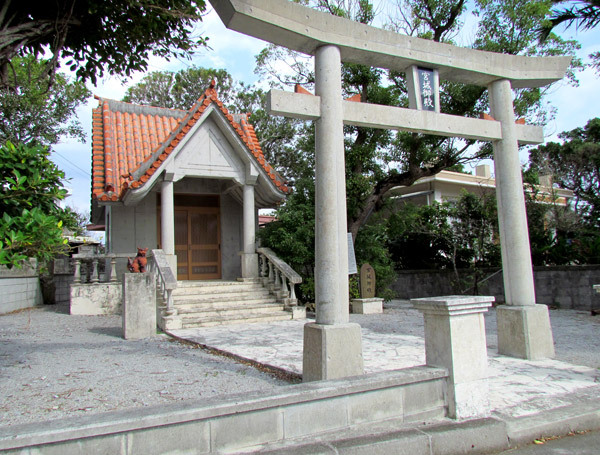 The term 'Aji' is used to describe a local lord and 'Hokuzan' was the old term to describe the northern region of Okinawa. The term now used is Hokubu. In 1962 the Nagusku Udun was rebuilt with concrete. More for the O-Files. The explanation leaves you with more questions than answers, such as the whereabouts of 'Dumaibama'. And does Kyanbaru have a connection with today's Kyan district of Itoman. 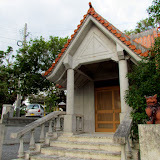 If the area referred to as Nakadomari is the same area in Onna Village, then it shows how expansive the communication network reached to some of the remote areas of old Okinawa. 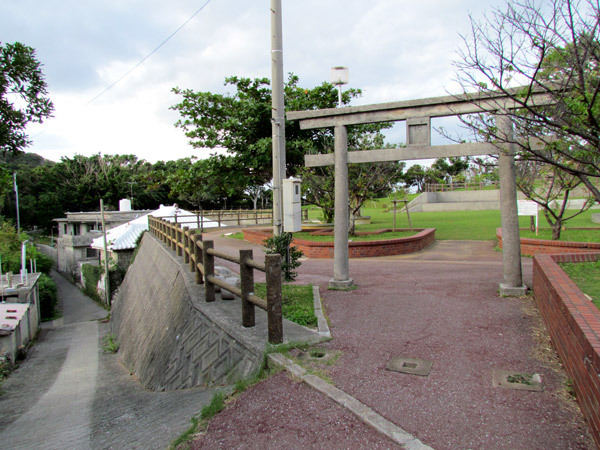 One has to remember, there was no bridge that connected to the outer islands off the Katsuren Peninsula long ago. The story also raises questions about the importance of the drift wood. Today, we wouldn't consider a washed up log as anything important. However, the story does shed light on how much power certain people had back in the old Ryukyu Kingdom. A Noro's spoken words were seen as if it came from the gods themselves. One did not question Noros back in those days. Directions. 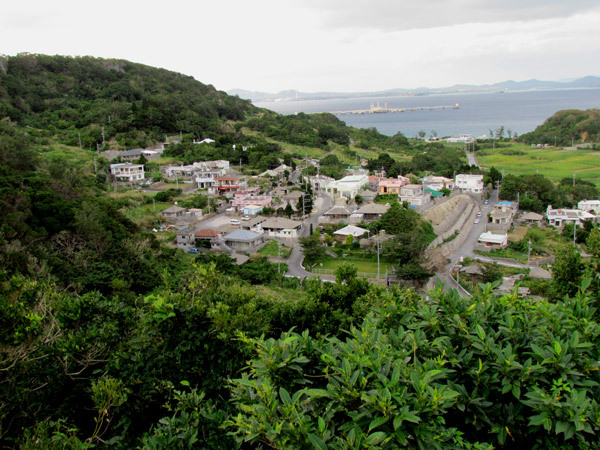 The Nagusuku Udun is tucked away in a small town of Yonashiromiyagi on Miyagi Island. See the map and study the designated land mark. Near the Green Thumbtack you will also see an official Uruma City marker pointing to the Udun. However, do not follow this sign with your car. Read parking instructions below. Parking. It is highly recommended that you park in the vicinity of the Green Thumbtack (see map above) and the navigate on foot to the burial tomb. It is not a far distance to the tomb from this location. It is also the widest area you can park your car without disrupting the flow of traffic. 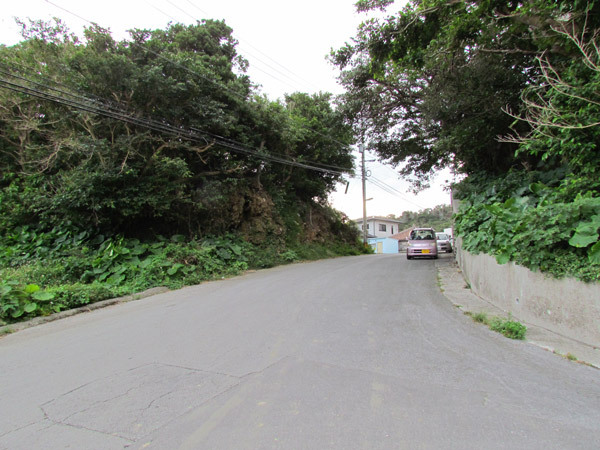 If you are new to this area and you try to navigate by car to the tomb you will find yourself in some very tight roads and corners. Viewing Area. Near the tomb is another park to its north. 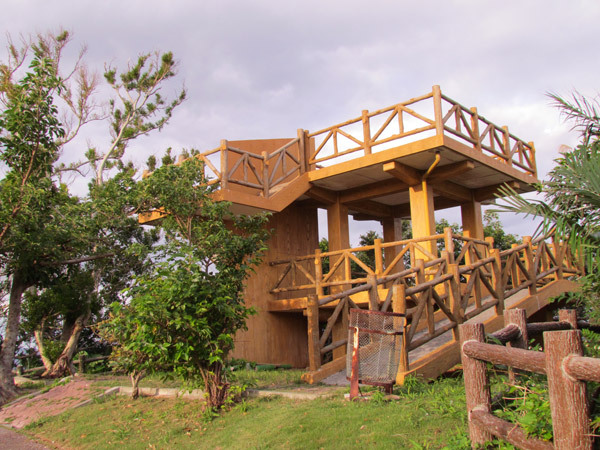 There you will see a viewing tower where you can get a good view of the Miyagi greenery and outlying towns. Gettin me loving those "O" Files ! "Kijoka Falls – Ogimi Village"
"The Yan Spring - Miyagi Island"
"A View and The Shinugu Shrine Ruins"